RAR Fix Toolbox extracts files from damaged WinRAR archives and then saves the files to hard disk. Fix all types of WinRAR archives. Fix data from self-unpacking SFX archives. The .rar fix tool works with archives larger than 4GB. Fix archives that are divided across several files. Fix files with incorrect CRC values (Win RAR CRC fix). Option to save files and folders to disk selectively. The RAR Fix Tool scans and analyzes damaged *.rar archives and displays information about what can be extracted from the file on-screen. The WinRAR fix corrupt file software compatible with all versions of Windows and *.rar files. Note: The program is not licensed under GNU General Public License (GPL) or GNU Lesser General Public License (LGPL). 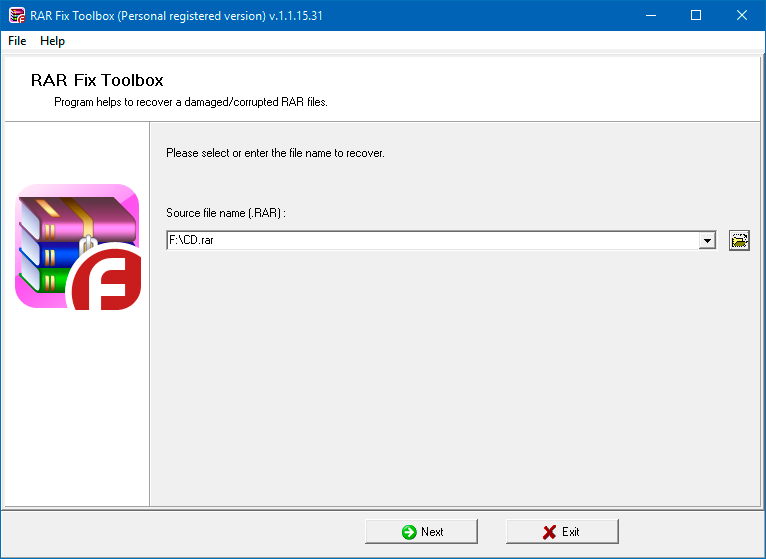 RAR Fix Toolbox is not open source software or a freeware tool. RAR Fix Toolbox is distributed on the try-before-you-buy basis with a free DEMO version. 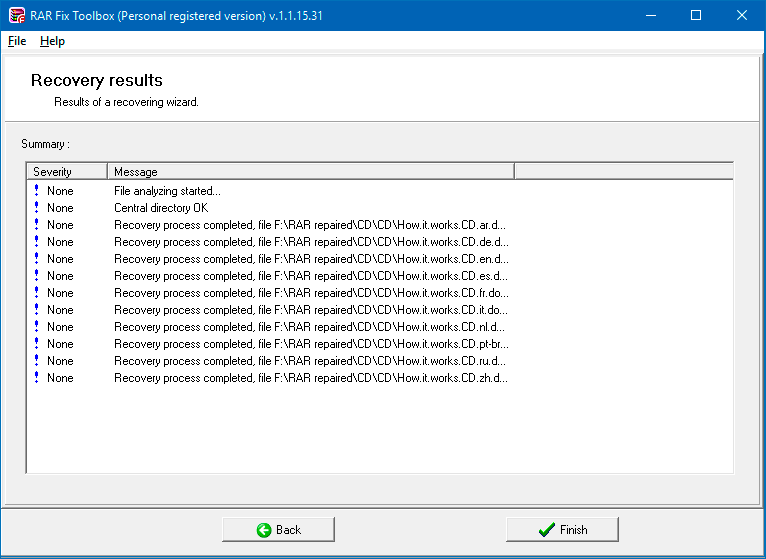 Selecting a damaged RAR archive. Selecting folders and files that should be recovered. 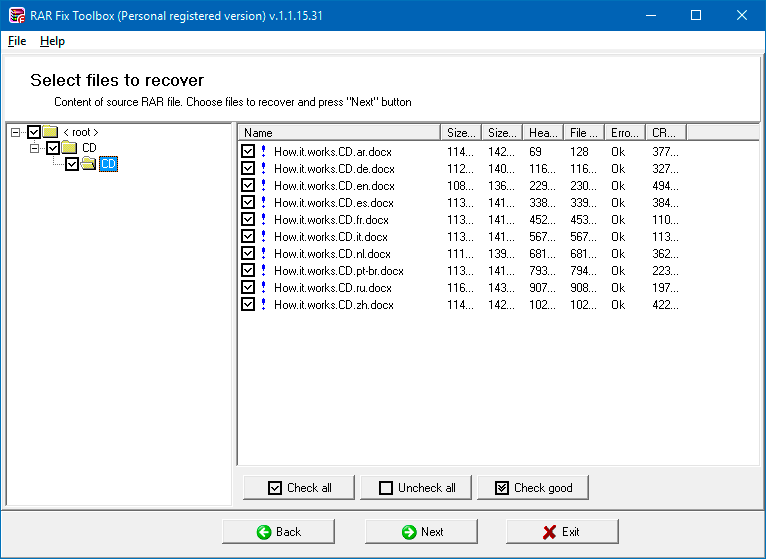 Selecting a folder where the recovered information will be saved. Viewing the results of saving the recovered information.